How do Soil Types of Dam's Foundation Influence Sliding? Dear reader we have published many posts about dam, some case studies of dams, causes of dam failure in our previous posts. Here we will discuss some geotechnical aspects of earth dams, their influences on dam performances and also earthquake impact on dams, previous experiences in some major dams all over the world. 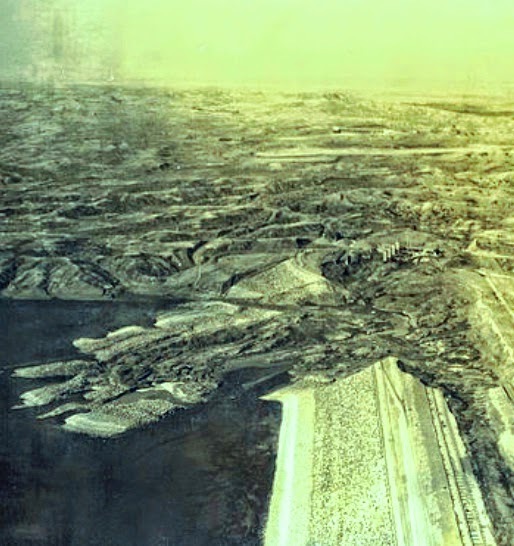 b. Slope slides in downstream during operation of reservoirs. c. Slope slides in upstream following drawdown in reservoirs. All most all types of sliding stated above that is sliding while construction, deep downstream and upstream sliding observed after construction in dams, constructed over foundations having clay soil with high plasticity having natural water content. So a firm correlation is developed between failure of dam in sliding and underlain fine-grained soil having high plasticity in embankment. A study was conducted on 65 dams (homogeneous dam) in western part of United States. There had shown that 14 slides due to above soil condition. The soil type was clay and if not highly plastic, at least had medium plasticity. Form the examined statistics and from common experiences of engineers involved in this field, it seems that rolled-earth dams didn’t suffer sliding failure when the foundation of embankment or embankment itself constructed with comparatively fine-grained soils of less consistency stated above. What are the Sources of Leaks in Dam Foundation?